New Zealand Vintage Computer Forums • View topic - Whats this Apple 2 card ? Whats this Apple 2 card ? Anyone know what this card is ? Behind the ribbon cable its labelled "IN" other side is "OUT"
Socket has half the pins of a Disk Drive (10 pins), hand soldered assembly. 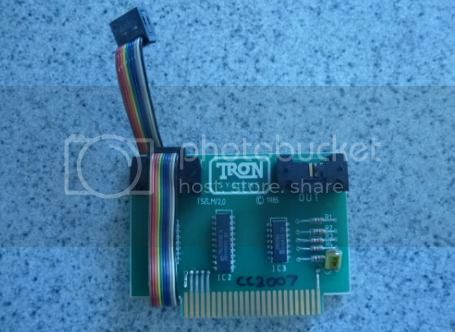 Re: Whats this Apple 2 card ? In fact, the most widely used OS on earth is probably an OS for embedded systems: TRON, and its derivatives, grew out of a project at the University of Tokyo in the 1980s . TRON is really a software specification that has been implemented by a huge number of embedded device manufacturers of consumer devices, ovens, refrigerators, digital cameras, CD players, mobile phones, industrial controllers, and cash registers.